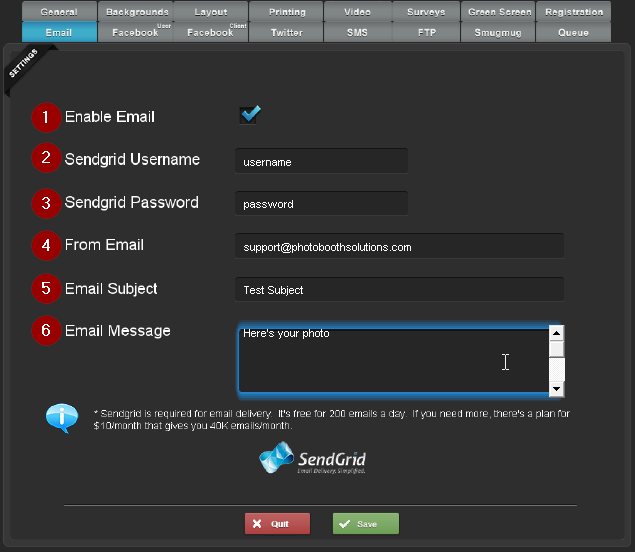 Social Booth uses Sendgrid for email delivery. You will need to signup here. It's free for 200 emails/day. If you need more there's a plan for $10/month that gives you 40k emails/month.